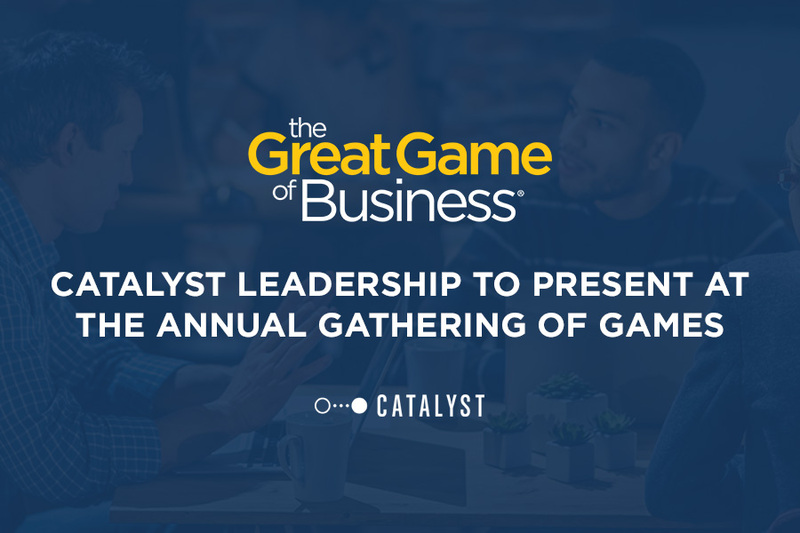 AUSTIN, TEXAS (August 30, 2017) — Catalyst, an Austin-based agency specializing in marketing for student and multifamily housing, announced today that President, Jamie Matusek, and Senior Director, Christy McFerren, will present at The Annual Gathering of Games, presented by the Great Game of Business, that will take place Sept. 6-8 in Dallas, Texas. The conference is the world’s largest open-book management (OBM) conference. More than 700 business leaders and key influencers from companies considering implementing open-book management are expected to attend the conference, along with existing GGOB practitioners. Attendees will have the opportunity to learn and share the culture-changing principles of OBM, as well as celebrate Great Game “All Stars” – the best of the best open-book practitioners over the past 17 years. As a thought leader in the student and multifamily housing marketing industry, Catalyst has experienced exponential growth, growing 129 percent from 2014 to 2015. Matusek and McFerren will share their experience on how, through understanding costs, pricing models, and employees, companies can dramatically shift business in a very short period of time. They will explain how using rewards helps motivate teams to drive revenue and achieve goals, ultimately creating loyalty and a challenging but fun work environment. The conference, named as one of 7 ‘Can’t Miss’ Conferences For Entrepreneurs in 2017 by Forbes, will feature more than 54 educational breakout sessions. The sessions include 10 roundtable discussions, nine pre-conference workshops, three OBMx “practitioner talks” and keynote speeches from two of the world’s most influential business minds: Jack Stack and Jackie Freiberg. Matusek and McFerren have shared their marketing vision at other industry events including the National Apartment Association’s Student Housing Conference, the National Multifamily Housing Council’s OPTECH Conference and Exposition, and the Apartment Internet Marketing Conference. In addition, they each have been contributors to industry publications including Student Housing Business, Multifamily Executive, and MultiHousing News. Based in Springfield, MO, The Great Game of Business provides expert training and coaching services for companies interested in implementing open-book management in their organization. In April, Forbes magazine wrote an in-depth article explaining The Great Game approach and its origins at SRC Holdings, Inc. with the article, Gaming The System: How a Traditional Manufacturer Opened Its Books And Turned Employees Into Millionaires.